A tiny baby is not a very important person in himself; everything depends on the family into which he is born. 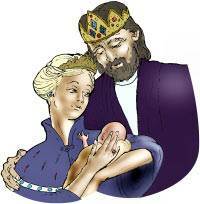 The first son born into the family of a great king is called "the crown prince." He becomes at once the heir of all the riches and glory of the king himself. As a tiny baby he has no idea of all the wealth and position that belong to him. Nevertheless, it all belongs to him, and one day he will inherit all that the king has. So it is with the believer. The moment he trusted Christ as his Savior, he was born into the family of God. As a tiny baby in Christ, he has no idea of all the wealth and position that belong to him. Nevertheless, it all belongs to him, and one day he will inherit it. Believers are sons and daughters of the living God, and God's Word says, "All things are yours…" (1 Corinthians 3:21). We are not saved by what we do for God but by what God has done for us in the Person of His Son. Let us see the wonderful things He has done for us. The One who took all our sins upon Himself is now seated at the right hand of God. Since this is true, where are my sins? They are gone—gone forever. I am a new person in a new kingdom. Not only has Christ removed my sins, but He has removed "the old me"—the one who did the sinning. My old life ended with my death with Christ. 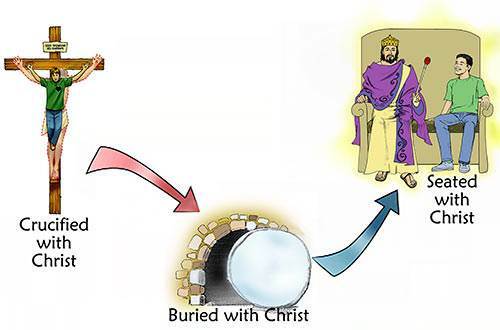 I was buried with Him and I rose with Him as a new person in a new kingdom—"the kingdom of God's dear Son." Once God put me in Christ, everything that happened to Him also happened to me because I am in Christ. When He died, I died with Him, when He was buried, I was buried with Him, and when He rose from the grave, I rose with Him as a new person in Christ. But that is not all. When Christ ascended back into Heaven, I ascended into Heaven with Him. When He was seated at the right hand of God, I was seated with Him. This is my new spiritual position. This is the way God sees me. "But God, who is rich in mercy, for His great love wherewith He loves us, even when we were dead in sins, has quickened us [made us alive] together with Christ, (by grace you are saved); And has raised us up together, and made us sit together in heavenly places in Christ Jesus" (Ephesians 2:4-6). I am perfectly righteous in God's sight. The prodigal son did not earn "the best robe," nor did he pay for it. That robe was given to him by his father. God gives me a perfect righteousness the moment I take Christ as my Savior. I can never lose this righteousness because it is not a "thing"—it is a Person! God gives me Christ as my perfect righteousness, and I can never be separated from Him. Because I am in Christ, I am accepted by God in Heaven. Because Christ lives in me, I have the power to live for Christ here on earth. It is a wonderful day when you can say, "I have been crucified with Christ; it is no longer I who live, but Christ lives in me." God's great purpose is that we shall be holy and without blame before Him as His sons and daughters. God is doing this, not just for our happiness, but for His own pleasure and satisfaction. "When the fulness of the time was come, God sent forth His Son, made of a woman, made under the law, to redeem them that were under the law, that we might receive the adoption [position] of sons" (Galatians 4:4, 5). We have seen how the father of the prodigal provided "the best robe" for his son. This made the son conscious of the fact that he was now suitable to his father and fit to be in his presence. But the father provided two more things for his son—the ring and sandals. He said to his servants, "Put a ring on his finger and shoes [sandals] on his feet." Let us see what these mean. The ring in the Bible signifies honor and authority. When a king gave his ring to someone, he was saying, "I am honoring you by allowing you to represent me." God has chosen us to be Christ's representatives in this world. Think of the great honor that God has bestowed on us—being chosen by God to represent Christ here! The Bible says, "Now then we are ambassadors for Christ…" (2 Corinthians 5:20). What is the meaning of "the sandals"? The sandals speak of sonship. 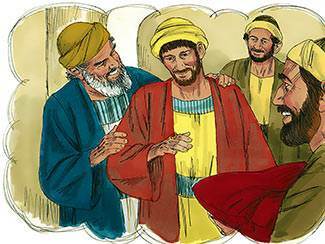 Servants did not wear sandals in the house; they were barefooted. Only sons wore sandals in the house. What was the father saying to his son? He was saying, "You are to be with me, not as a servant, but as my son. I want you to always remember that you are my son and that I delight in you." The robe, the ring and the sandals made the son conscious that his father loved him and delighted in him. If you had asked him, "What kind of terms are you on with your father since you came back?" he would have said, "I am on the very best of terms with my father. My father delights in me and I delight in him. I never knew that he loved me so much." The father of the prodigal delighted in his son. He did all these wonderful things, not just for his son's happiness, but for his own pleasure and satisfaction. What is God saying to us here? He is saying, "You are to be with Me as My son. I want you to remember always that you are My son, that I love you, and I delight in you." To be "reconciled to God" means that we have been made entirely suitable to God. Through the work of Christ, God has made us fit to be in His presence. Why is God so gracious to us? Why does He give us "the best robe" and "the ring" and "the sandals"? He does it because of Christ. 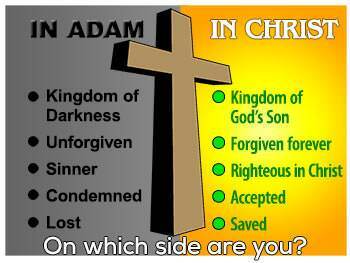 The Bible says that "when we were enemies, we were reconciled to God by the death of His Son" (Romans 5:10). Dear friend, have you realized that, because you are in Christ, you have been reconciled to God? God has made you suitable to Himself. Do you know that God delights in you now as His son? It takes us a long time to get hold of the fact that God is doing all these wonderful things for us, not just for our happiness, but for His own pleasure. It is God's pleasure to have us before Him as His sons. Nothing would satisfy God's great heart of love but that we should have the place of sons before Him. The Bible says, "Behold what manner of love the Father has bestowed upon us, that we should be called the sons of God…" (1 John 3:1). Do you know what it is to be a son of God? It is to be the object of God's love and delight. I may feel, "I am just a poor, weak person. I don't feel like I am a son of God." "Beloved, now are we the sons of God, and it does not yet appear what we shall be: but we know that, when He [Christ] shall appear, we shall be like Him; for we shall see Him as He is" (1 John 3:2). We are the sons of God—now! We do not know exactly what glory will be ours in the world to come, but the Bible says, "Beloved, NOW are we the sons of God." What I am in the presence of God is my true spiritual position and dignity. When I lose sight of this, I am grieving the Holy Spirit. 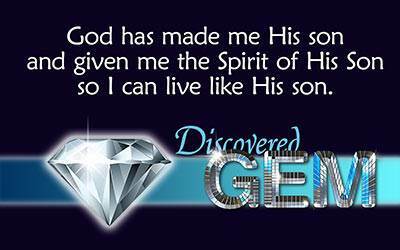 God gives us the Spirit of Christ so we can live like His sons. If a great king were to give me the title of nobility and give me a large estate to go with my title, what would it profit me if I did not have the finances needed to keep up the large estate? God is saying to me, "I have made you My son, and I am determined that you shall have the power to live like a son of God. 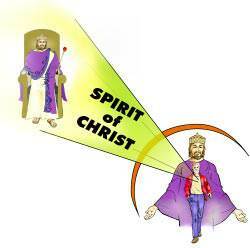 I am giving you the Spirit of My Son to live in you so that you can be set free from the sins and habits that would drag you down." The Bible says, "For the law of the Spirit of life in Christ Jesus has made me free from the law of sin and death" (Romans 8:2). We are here to represent Christ. "You are a chosen generation, a royal priesthood, a holy nation, a peculiar [special] people; that you should show forth the praises of Him who has called you out of darkness into His marvelous light" (1 Peter 2:9). "Do all things without murmurings [grumbling] and disputings [arguing]: That you may be blameless and harmless, the sons of God, without rebuke, in the midst of a crooked and perverse nation, among whom you shine as lights in the world" (Philippians 2:14, 15). In everything we do, we have an opportunity to glorify God. The Bible says, "Whether therefore you eat, or drink, or whatever you do, do all to the glory of God" (1 Corinthians 10:31). This world is not our home; we are just passing through. At any moment, the Lord Jesus could come in great power and glory to take us to be with Him. Right now we are to faithfully represent the Lord Jesus here on earth until the day comes when He takes us to be with Him in Heaven forever. "For the grace of God that brings salvation has appeared to all men, teaching us that, denying ungodliness and worldly lusts, we should live soberly, righteously, and godly, in this present world; looking for that blessed hope, and the glorious appearing of the great God and our Savior Jesus Christ" (Titus 2:11-13). The grace of God not only "brings salvation," but it also teaches us how we are to live in this world. We are to deny "ungodliness and worldly lusts." The world, with its pride, wealth, lusts, and glittering attractions, has a powerful hold on unsaved people, but the believer turns his back on all this. 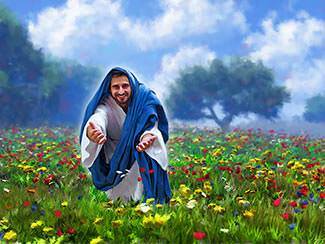 Worldly attractions lose their power over the man who is continually looking for his Savior to come and take him in a moment to the glories of Heaven. We are to live "soberly." To live "soberly" means to live humbly and thoughtfully. Pride is at the root of many problems in this world. God hates pride. Peter said, "…All of you be subject one to another, and be clothed with humility; for God resists the proud, and gives grace to the humble" (1 Peter 5:5). We are to live righteously. To live "righteously" means being right with God and being right with other people. 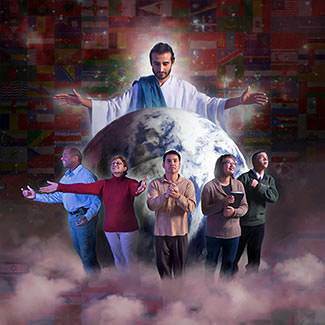 The unsaved people of the world do not read the Bible; they "read" us Christians. They do not think much of a Christian who does not pay his debts or try to make things right for any wrong he has done. We are the only Bible the careless world will read. We are to live looking for the return of Christ. The Lord Jesus is coming for His believers and He is coming soon! When will He come? No one knows the exact time when Christ will return, but we are to be ready at all times for His coming. The Bible says, "Watch therefore: for you know not what hour your Lord does come" (Matthew 24:42).